Sunday afternoon we took them out of the fridge to devour them . There were 9 little candies in the box. It was a 3.1oz. box and is one of RUSSELL STOVER'S new " all one flavor " packages . This is great . Now you can have just your favorite flavor without having to buy a big box of mixed . Plus they sell for $ 4.99 but were less at Walmart ($3.96). VERDICT: I think we made a mistake eating them out of the fridge . We should have waited for them to warm up a little . They tasted like fridge , know what I mean . I also didn't find them as big ,nor the marshmallow as fluffy ,as the ones in the big boxes . These were sort of flatter and square and the marshmallow more condense. They tasted good but not as good as the ones in a regular box . I want to try them again , giving them time to come up to room temp. But I can't do anything about the flatter marshmallow . 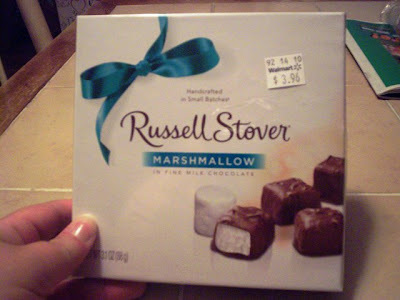 Hey RUSSELL STOVER , if your going to go to the trouble of making us our favorite flavor in it's own box,then make them exactly the same as we love them . 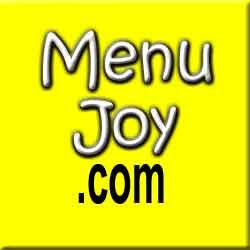 ... and don't forget to visit MenuJoy.com for local area menus.